It’s 2018. Two thirds of the planet’s population own a smart phone, Amazon’s market value tops a trillion dollars and data is the new crude oil. How do you recast a payment platform as a thriving community? Bango is a payment platform connecting Google, Microsoft, Samsung and Amazon to more than 2 billion smartphone users globally. Bango needed a compelling brand story and a more confident way to present themselves to drive global growth. By talking with their key customers, we realised that the value Bango offers is more than their unique technology and integrations, it is the business insights their data provides. We positioned Bango as a destination where businesses go to thrive, leveraging the platform’s potential to fuel partner growth through data-driven insights. The idea of ‘the growth circle’ brought together Bango’s mission to unlock new dimensions of growth for leading businesses, while making frictionless payment available to every mobile user in the world. Being inside the ‘Bango circle’ became an analogy for being part of a network of e-commerce businesses all benefiting from better payment technologies, better connections and better insights. Re developed a logo that brings to life the benefits of entering the Bango circle. Circular and offset letterforms sit on a ‘threshold’ of colour, demonstrating the capability shift of being in the Bango circle. 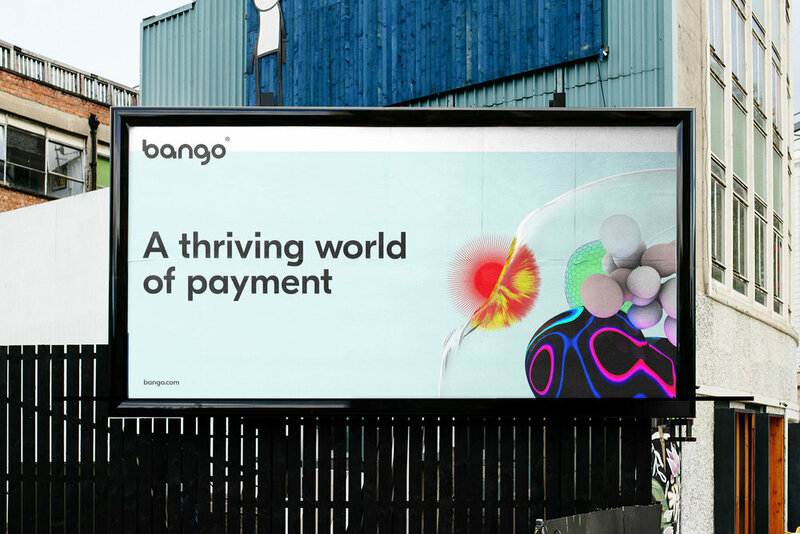 Characterful and inviting colour palettes echo the community focus of Bango’s strategy and create bold, memorable moments that merchants and payment providers want to be a part of. In the physical world, we create spaces and brand collateral that invite and entice. Applications from wayfinding to coffee cups welcome customers, colleagues and partners into the Bango world. 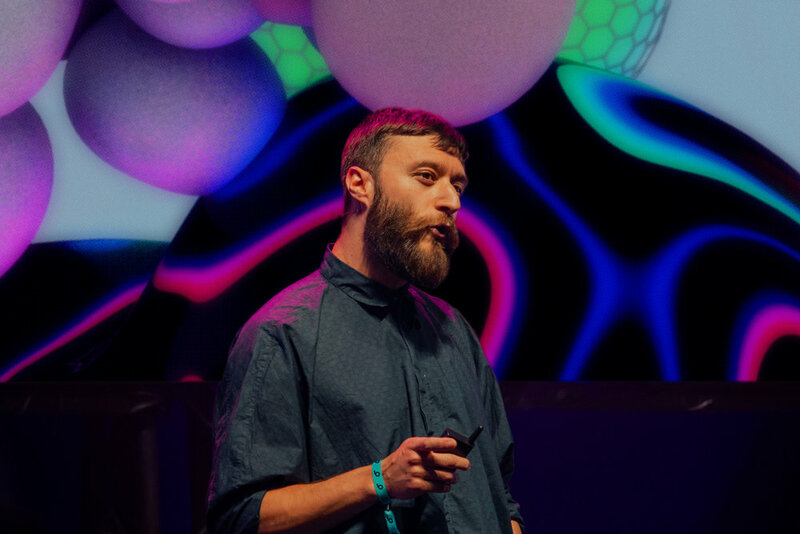 Digital experiences use dynamic animation to take the user on a journey through the Bango circle. The introduction of elements such as icons and a two dimensional rendering of the growth circle build upon the rich landscape of the Bango world. Re created ‘The Bango World’, a thriving community of characters that exist within the Bango circle. Outside the Bango circle, characters are 2D and lacklustre. Crossing the threshold into our cinematic 3D world, our cast members became colourful, playful and dynamic, fuelling growth for everyone who steps inside. Each character is indicative of the different merchants and payment providers Bango works with. To represent this broad spectrum of partners, each cast member has its own distinct personality, dictating colour, movement and form. Bango iconography echoes the distinctive visual style of our logotype, borrowing stylistic elements such as circularity, line weight, length and distinct offset moments. In motion, their geometric design means they transition seamlessly from one to another.